Cloudy skies. Slight chance of a rain shower. High 52F. Winds NNE at 10 to 20 mph..
Spring is getting near, it’s almost time to till your gardens, plant your seeds and bring out the lighter clothing for the upcoming warmer weather. The warmer air will once again feel good on your face, and the smell in the air will remind you that spring is right around the corner. Outdoor activities will once again commence, however there has been one outdoor activity that happens every spring which has its own smells, its own noises and its own history. This activity has the smell of hot roasted peanuts, hot dogs and the noises of cheers and boos. Above the noise you can hear the most familiar outburst from one fan that tells you exactly where you are, “KILL THE UMPIRE”, or how about, “HEY SO-IN-SO, YOU’RE A BUM”. Yep! Baseball. The boys of summer have entertained us for more than a hundred years. In fact, there were games played that had familiar baseball-like themes. Baseball, or some form thereof, was played as early as the 1300s called Stoolball, when milkmaids used their stools as wickets. The game of Rounders was played in England and referenced in a child’s book in 1744. Hard leather-cased balls and round ended wooden or steel bats were used. Four wooden stakes were used as bases and the players scored a run by running around all four bases. In 1790 the word “baseball”, was mentioned in a book written by Jane Austen but not published until 1818. Titled “Northanger Abbey”, the author describes a woman who prefers cricket, baseball riding on horseback and running about to books. It is believed, but not proven, that baseball evolved from the games of Cricket and Rounders. For many years we have understood that the inventor of our American version of baseball was Abner Doubleday of Cooperstown, New York, in 1839. Abner Doubleday never claimed he invented baseball. A man named Alexander Cartwright, in 1839, founded a baseball team called the Knickerbockers and designed the baseball field in the shape of a diamond. He did not invent the game of baseball as there is documentation that a Canadian team was the first organized team in North America in 1838. But Mr. Cartwright, in 1845, did write the rules for the modern day game. The most notable change was NOT throwing the ball at the runner in a way of tagging him out, (OUCH). In the early days, the game was played on cow pastures. When people came to watch their local hometown team play ball the field was surrounded by horse and buggies which were used as seating for the spectators. Bales of hay provided some seating as well. The noise in the air was probably the same including those familiar outbursts of (respect?) for the umpires. Early players were considered local heroes. They all lived in the same community as the fans. The second baseman was the farmer next door, or the catcher may have worked at the grocery store. No gloves were used in those early days, and most bats were handmade. The pitchers were called throwers, and the word baseball was spelled with two words (base ball). Yes these boys of summer were admired. When the home team had traveled to play their away games, on occasions the opposing towns were too far away for their fans to follow their team. Crowds would then gather outside the town telegraph office, there the employee would often have a makeshift scoreboard using a slate board which he would post outside his building. The employee would change the score and the innings, as the game progressed and he was also able to provide some play by play action that was received over the wire. Hometown teams from Gladwin, Beaverton, Coleman, Clare, and other local towns had their own heroes. Teams like The Ridge Boys who were neighbors, relatives and friends resided in the near vicinity of Ridge Road in Gladwin, formed their own baseball clubs. Going through the Gladwin Record Newspaper archives, we found baseball articles for some of our local teams as early as 1884. In those early days The Racket, a Gladwin local Bazaar store, sold baseball equipment boasting; “base balls” and “bats” for sale, 10 cents each. Today, that same 10 cents wouldn’t be enough to pay for the thread to stitch a ball. In a May 5 article dated in 1905, in the Record newspaper, the “base ball gossip” column had several tidbits worth noting. The first stated; “it will be the particular aim of the management and all concerned to have games conducted in as quiet, and gentlemanly of manner as possible at all times, so that nobody, woman or child, need hesitate to attend, and enjoy the greatest game America ever known”. Another tidbit from the same column, the writer also noted; “we have the material here in Gladwin and the city and surrounding territory have responded well. Let us all give a helpful hand and let Gladwin be heard from. There is nothing that will advertise a town or city more than a good base ball club”. Yes, the fans were loyal, and functions were organized to support the local teams. Found in various articles from the Record was proof. 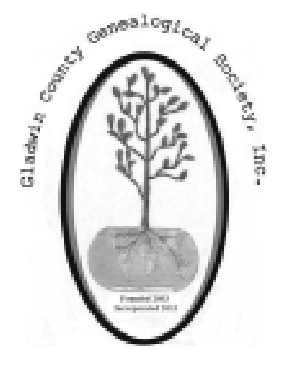 “The Gladwin base ball club will give a dance at McClary’s opera house next Wednesday. Bill 50 cents”. Another article told of a different county team; “The Ridge base ball club held a party at Mr. Arnot’s which was well attended and all had a general good time”. Two of the biggest games of the year pitted two local teams. One game played in May on Decoration Day, and the other played on Independence Day in July. The winning teams might win as much as twenty dollars, but we think bragging rights was worth much more. Competition increased each year, and teams sought out the better players from other teams. Jobs were offered to good players to entice them to come to their local team to play ball. In the Record, dated May 12, 1905, the “base ball gossip” column gave us one such incident of enticement that was used to obtain a player. This tidbit stated; “Robert Cormode, of Bay City, is going to become one of us and will do the throwing for Gladwin this season. He will be employed at Fraser & Tubbs’ being an expert tinner and when called upon will pitch for the team. He looks mighty good and the prospects for a winning aggregation are certainly very bright”. Mr. Cormode must have done alright, because the following week, the Record printed the box score dated May 12, 1905, of a game between Gladwin and Coleman stating; “throwing for Gladwin was Cormode and Burt was his catcher”. The final score, Gladwin 6, Coleman 2. Prior to that game, both teams gathered at the Graham House, marched to the grounds (ball field), headed by the fife and drum corps. During the game a collection was raised in support for the Gladwin team and 25 dollars was that tally. In addition, we found some rosters for some of the early teams. In the Record, dated June 24, 1899, the Gladwin team was as follows; “Eben Wright, catcher, C.F. Boorom. Pitch, John McCoy, 1st base, Ralph Robbins, 2nd base, Peter McCormick, 3rd base, William Welcome, short stop, Chas. Bosmer, right field, G.E. Lee, left field, Chas. Robinson, center field”.In 1892, we found this special Gladwin team, which claimed the championship of the Mackinaw Division. The games were played in Standish where they first had to win a tough game against West Branch winning by a score of 7 to 6. Then they played against Maple Grove, besting them by a score of 6 to 5. The winning prize was twenty dollars. Those nine winning players were; “J. Busch and C.W. Taylor, battery, Lem Sico 1b, B.E. Knowlton 2b, George Dutcher 3b, F.L. Busch ss, Ollie Gowans rf, G.E. Lee cf, Roy Scrafford lf”. Note, a battery means the pitcher and catcher. By chance, does anyone recognize any of these old names? The game, in its infancy, was pure entertainment and having a local flavor meant the fans were much closer to their team, especially, in the spring when all the hopes of a good season were still fresh. This simple game of base ball, where a bat and ball cost only twenty cents would provide a whole summer full of fun and the thrill of competition. Kids played the game every sunny day, picked their teams and chose who was up first by one captain tossing the bat to the other captain. Once the bat was caught, then the hand-over-hand competition to the top of the bat meant the captain who had his or her hand at the top, would bat first. Springtime is in the air, our American pastime remains in our hearts so let’s…PLAY BALL! Fans, friends, and all, be reminded that our next monthly general meeting will be Saturday, May 4, at 10 a.m., second floor above the Gladwin Library.